The chairman of National Oil Corporation (NOC), Mustafa Sanallah has called the German companies to seek investment opportunities in Libya in the fields of oil and gas. During a meeting with German ambassador Oliva Owcza, Sanallah praised the high level of expertise in engineering and technology of German companies in the energy sector. 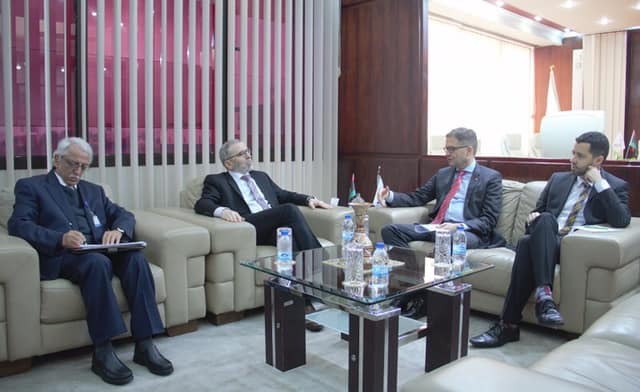 For his part, the German ambassador called for developing joint programmes in this area, including sending young Libyan petroleum engineers to study in German universities and institutes, in addition to develop plans to enhance cooperation between the two countries in the oil and gas sector.